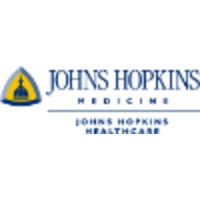 The Administration Coordinator and Assistant to the President will provide critical support to the leadership team at Howard County General Hospital, a Johns Hopkins Medicine institution with a goal of becoming the finest community hospital in the nation. The coordinator/assistant will provide supervision in the administrative suite, and will assist the President of the Hospital and the Chief of Staff/Senior Director of Administration by preparing for high-level executive meetings and events; maintaining calendars; compiling and organizing documents; fielding inquiries and directing visitors; maintaining records and files; and prioritizing the work and schedules of a well-functioning group of leaders and assistants in a fast-paced environment. This position provides an exciting opportunity to join an organization on a pathway to excellence, and one committed to the highest standards of safety and service in the health care industry. The right candidate will have experience in providing support to an executive or C-suite leaders, including coordinating logistics; compiling briefing and background documents; and organizing records, processes and policies for maximum efficiency. The right candidate will also have experience in process improvement and will be skilled in maintaining lines of communication throughout a complex organization. Work requires collaboration with internal and external contacts in order to resolve problems and improve efficiency within the administrative area. It also requires the ability to interact with medical professionals and other high-level leaders in public- and private sectors in the community.